No parameterless constructor was found on 'ApplicationDbContext'. Either add a parameterless constructor to 'ApplicationDbContext' or add an implementation of 'IDbContextFactory' in the same assembly as 'ApplicationDbContext'. Change your migrations assembly by using DbContextOptionsBuilder. E.g. 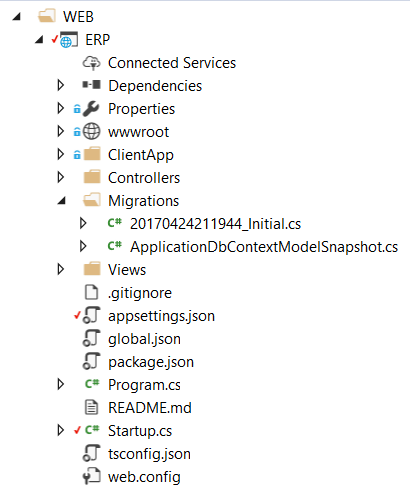 options.UseSqlServer(connection, b => b.MigrationsAssembly("ERP")). By default, the migrations assembly is the assembly containing the DbContext. Now adding new migrations are working just like before.